The NSW government has confirmed Grocon, Aqualand and Scentre Group as the developers of the $2 billion final stage of Barangaroo, the 5.2-hectare Barangaroo Central. The precinct is located between Barangaroo Reserve and the financial and retail hub of Barangaroo South, and will become the cultural and civic focal point of the entire project. With half of the site dedicated to public open space, Barangaroo Central will include a new Sydney Metro station and combine community, civic and cultural spaces with residential, retail and commercial uses. Its completion will also see the opening of the 14km Wulugul Walk along the Barangaroo waterfront, connecting one of the world's longest continuous urban waterfront walks from Sydney’s Garden Island to the Fish Markets. The consortium, led by Grocon in partnership with Aqualand and Scentre Group was selected by the Barangaroo Delivery Authority. Grocon will be responsible for the office project at Central Barangaroo and will “appoint an investor in the coming months”. “We are honoured to be selected to develop Central Barangaroo and deliver it back to the people,” Grocon executive chairman Daniel Grollo said. The retail centre will be delivered by Scentre Group and the Chinese-backed Aqualand will develop the residential component. 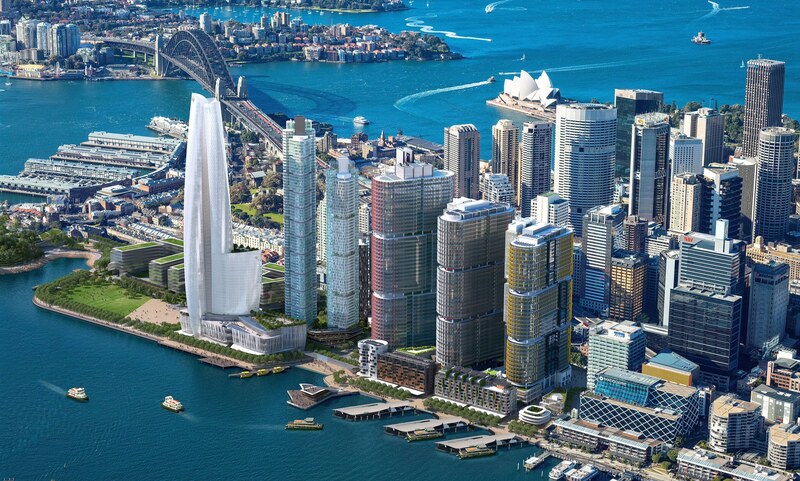 Barangaroo South developer Lendlease and Australian developer Mirvac teamed up to bid for the project but missed out. Central Barangaroo is due for completion in 2024 with planning approval sought later this year.